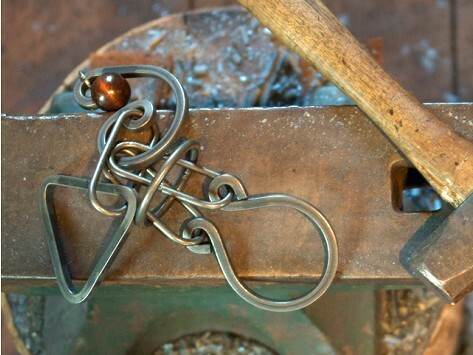 Handcrafted, intellectual, artistic, mind-boggling iron hand puzzles. 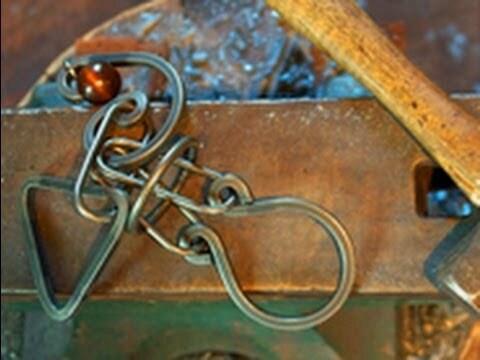 A museum-trained blacksmith designed these steel brainteasers to retain the look and feel of hand-forged ironware. Each puzzle is mechanical in nature and the object is to remove one piece. Neither force nor tricks are involved—old fashioned problem solving and perseverance are all that you need. These Tavern Puzzles intrigue young and old alike and are recommended for ages 10 and up. Dimensions: 8" to 14" x 4" to 6"
I gave this as a gift. Still had not been solved after many attempts. Would buy again. Great work out for the mind. Gifted this and the recipient was lost in it until he finally solved it! Excellent fun! PERFECT GIFT, LITTLE TRICKY , THATS GOOD FOR THAT OLD MAN BRAIN IT WILL KEEP YA YOUNG MARK!! The puzzles vary in complexity, ranging from the relatively straightforward Iron Heart to the incredibly complex, 43-step Patience Puzzle. None of the puzzles requires brute force, just a precise manipulation of the pieces. If you get stuck, you can request Tavern Puzzle solutions online—but we’re not giving up yet.